Garlic! The very name flavors sweet to some and pungent to many. The raw smell of garlic is unpalatable to many of us and we try to run away from the very sight. Might be, some of us know a few facts about the health benefits of garlic and most of us are not in know of the exact picture. Do you know that the garlic, a little demon in your food which you try to avoid is anti-viral and anti-fungal with the capacity to fight out great many diseases? It contains antibacterial elements like allicin which allows it to fight Candida albicans fungus. Apart from that, you know, it contains antiseptic properties which make it a good healing agent. 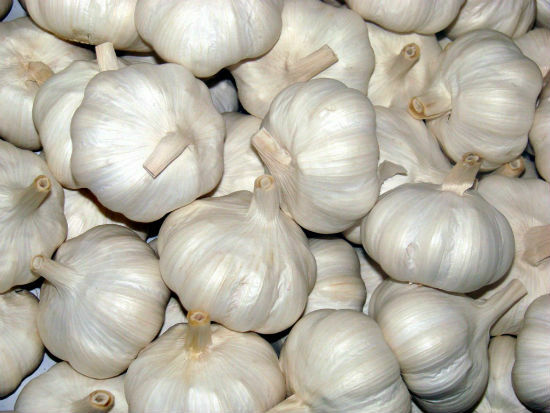 You apply garlic on wounds and pimples and wait for the results! A magical power of healing effect you feel and experience. Such natural remedy garlic renders just like that! It is good at preventing infection as well! Add garlic to your diet every day and then you feel vow! Garlic every day keeps the doctor away. A champion against all the diseases, garlic boosts your immune system and fights against diseases. It is an enemy of common cold and fights against severe coughs and hectic cold. It is a good recommendation for the children from the start. You know why old people or those who are grown up prefer this on this dining table? It works wonders with your cholesterol levels. Along with their pills and tablets, you might have seen old people consuming garlic pills or raw garlic even regularly, taking it in the form of a medicine. Why? Garlic regulates many major diseases like that of the heart and cancer. It thins the blood and helps a lot in thinning the blood and thus stopping the formation of blood clots. This automatically helps in regulating cholesterol levels. A good agent for avoiding heart disease, yes! All of us know cancer is a fatal disease and takes away life just like that. Once it occurs, the days are numbered in most of the cases. Here is a natural preventer for those afflicted by this disease. Take garlic each day and find to your relief how it acts to prevent the spread of malignant cells. Garlic lowers cancer cells ad tumors. It helps especially in cases of stomach, prostate, bladder and breast cancers. A natural agent, available everywhere in the market, garlic proves very beneficial, once you understand its magical medicinal value. A good laxative in its nature, garlic helps you a lot in your regular ablutions. It is a good digestive, helping you prevent stomach upsets. You need not rush to the hospital for every insect bite. Apply garlic on the bitten area. You can feel the healing effect! A great friend to Type B Diabetic patients and a fitting aid to control blood pressure. It also works in strengthening bones, joints and muscles. Sure, those who are rather addicted to this benevolent friend are relieved of the ailments like atherosclerosis and kidney and bladder stones. It even works in breaking gall stones and prevents the occurrence of stones. Expectant mothers! You have an elixir on hand namely garlic. Eat garlic and your babies will be fully grown with considerable weight. You can avoid the risk of pre-eclampsia as well. Use it as a regular supplement in your children’s food. You will be happy to see your children’s excellent brain function and memory. Eating garlic raw is, of course a bit unpalatable. The taste may not suit many tasty buds. Add to your soup and salad, garnish it with any food item you prepare and see the results to your amazement. 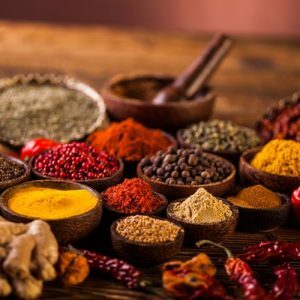 Feel free to comment or share your thoughts on this "Why You Should Eat Garlic" article from Awesome Cuisine.